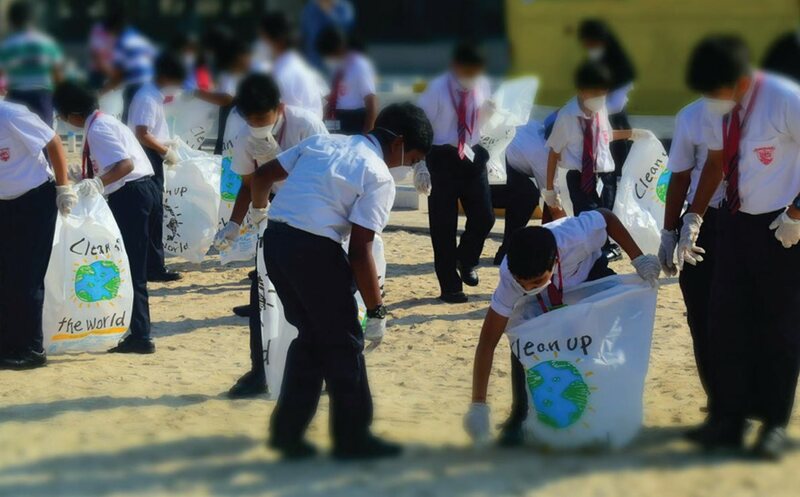 At Dulsco,Corporate Social Responsibility is part of our essence: Powering Better Communities. It is our goal to make the communities we serve work better. For businesses. For residents. For customers. For employees. For everyone. Because by making our communities more sustainable, we help our business, our employees and our region to grow, prosper and thrive. Our CSR activities in 2017 are represented here. At Dulsco, we are working tirelessly to live up to the core values embodied in the promise of our corporate mission. We do it by practicing the CSR messages we promote. For maximum impact, we’re concentrating our efforts on 5 core areas. Dulsco has been awarded the CSR Label Status by the Dubai Chamber of Commerce and Industry for the third time. The award recognizes companies that implement outstanding CSR and sustainability practices in the GCC region.